Engineering and technology escape unemployment troubles. When you were a senior in high school, were you really thinking much about whether you’d have job security 10, 20 or even 40 years later? Unless you’re Thomas Suarez, the answer is probably no. Well, youthful indiscretions are catching up with some college graduates whose majors are proving not to be as useful in the job market as they thought. 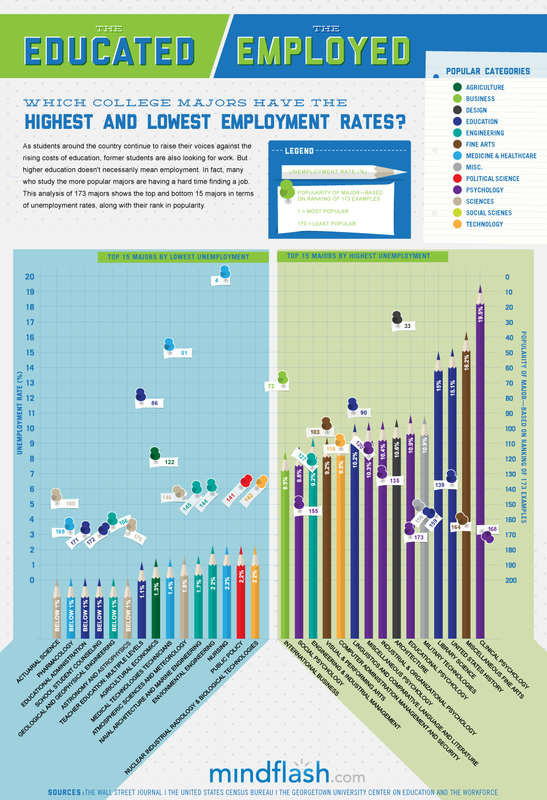 For the most part, engineers are gainfully employed, but not across the board. Graduates of engineering and industrial management programs are struggling to find jobs; 9.2 percent are currently out of work. On the other end of the spectrum, students who majored in geological and geophysical engineering seem to have no trouble landing a job. Technology jobs can be found on both ends of the scale, but it’s interesting to note that some of these sophisticated careers rely almost entirely on the technology behind them to function. This graph doesn’t tell the whole story, and we’d be interested to see the types of jobs that these grads take. This infographic originally appeared on MindFlash.